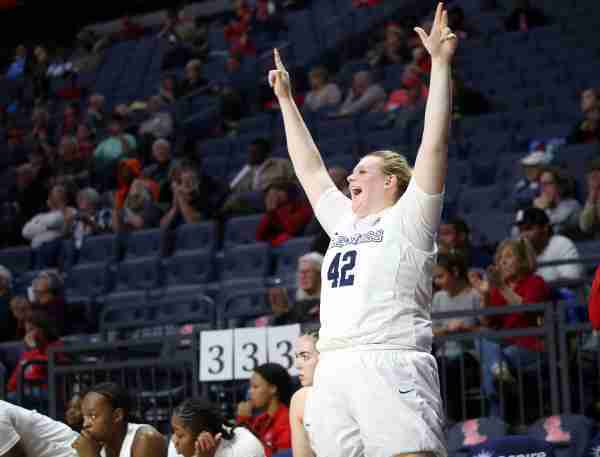 Freshman forward Shelby Gibson earned her first award as an Ole Miss Rebel on Tuesday when she was named SEC Freshman of the Week after averaging 14.0 points and six rebounds in the team’s wins over Mississippi Valley State and Arkansas last week. Gibson is the first Rebel to earn an SEC award since last season when senior forward Shequila Joseph earned SEC Player of the Week honors after Ole Miss defeated then-No. 9 Kentucky. In the Rebels’ win over the Devilettes, Gibson scored a game-high 16 points and grabbed seven rebounds in 19 minutes of action. 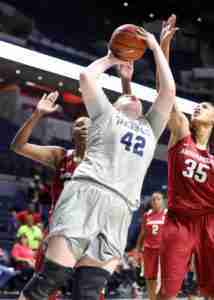 In Ole Miss’ first conference win of the season, against the Razorbacks on Sunday, Gibson finished with 12 points and five rebounds in 18 minutes. In those games, Gibson went a combined 11 of 17 from the field, including 6 of 13 from the free throw line. Gibson, the top scoring freshman for the Rebels this season, is averaging 8.4 points per game. The 6-foot-3 Murfreesboro, Tennessee native has already scored in double figures six times this season for Ole Miss. She’s also the first Rebel since Armintie Herrington to open a season with back-to-back games in double-digit scoring as she finished with 14 points against Southeastern Louisiana and 10 against Lipscomb. Ole Miss (12-2, 1-0 SEC) will need Gibson to keep performing at a high level with four of the team’s next five games on the road. The Rebels’ next road stop will be this Thursday night against Alabama (7:00 p.m., SEC+). Under head coach Matt Insell, Ole Miss is 1-2 all-time against the Crimson Tide (12-2, 0-1 SEC).